WARNING! This product is region-locked and CAN'T BE activated and played in the following countries: Switzerland, New Zealand, Japan, Israel. 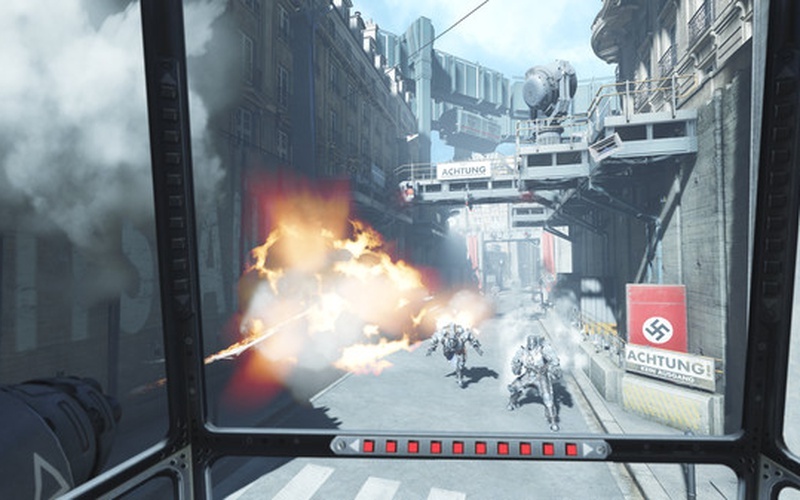 Wolfenstein: Cyberpilot is a new entry in the immensely popular Wolfenstein franchise that aims to bring the thrilling battle against the sinister Nazis to virtual reality. 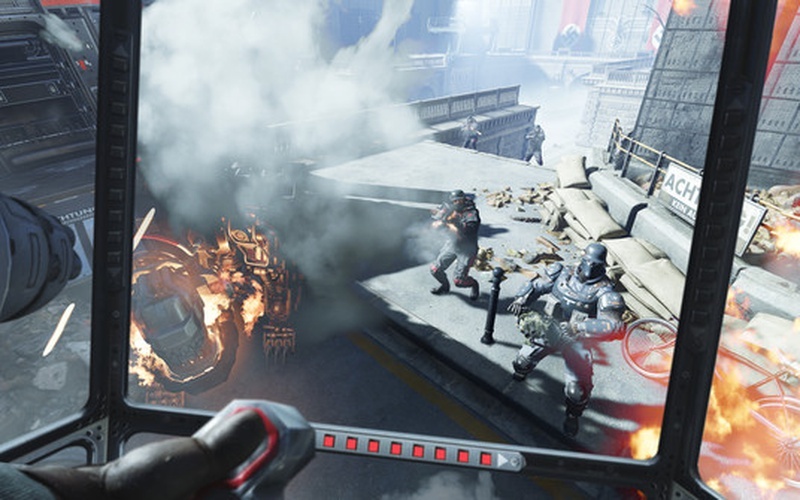 The game is developed by Arkane Studios and Machine Games and it is being published by Bethesda Softworks on July 26th, 2019. 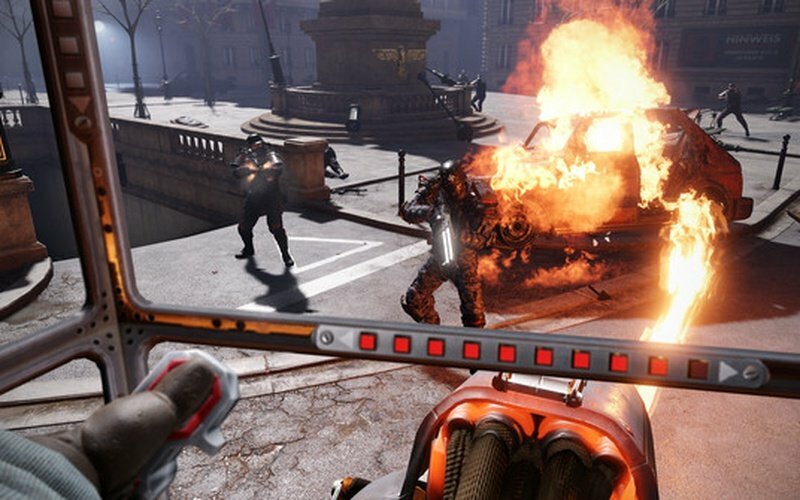 The war is raging on, people are in a desperate struggle to shake off the violent grip of the Nazi war machines that are terrorizing the resistance in French. But, what can man do against a machine? 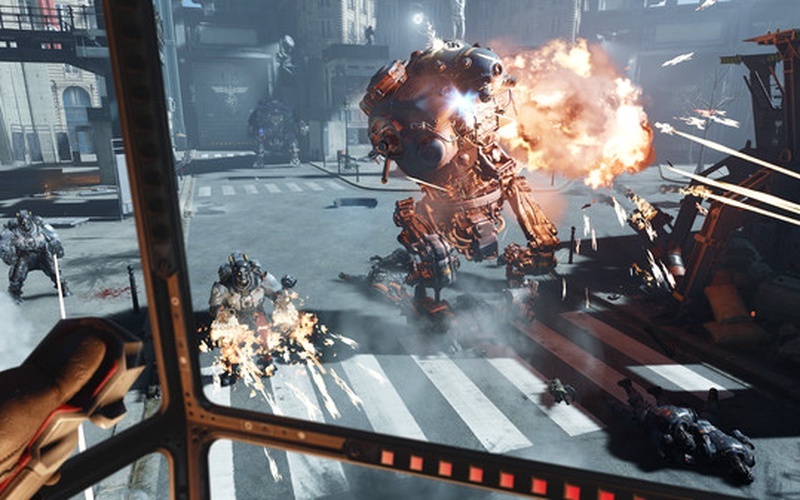 Not much and people are slowly starting to lose hope as the onslaught of the dreaded war machines continues. But, there is one person out there that has a weapon that is very effective against these threats. That's you, the very best hacker that this town has ever seen, and it is time to join the resistance and help the rebels crush the Nazi scum. 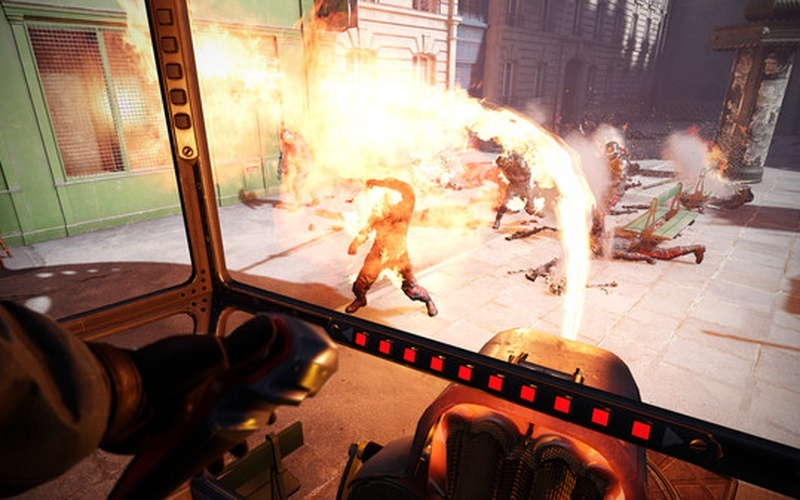 Wolfenstein: Cyberpilot is set in Paris, 1980, and it comes with all the carnage, destruction, bloodshed, and explosions that one looks for in a Wolfenstein game these days. Ram the enemy, gun them down as soon as you see them, and burn every last one of them in the famous City of Love.